Accuweigh supplied a metal detection system designed to detect the presence of metal contaminants in the client’s range of salt, pepper and other spice products. Supplied by Accuweigh’s Perth branch to help ensure the client’s products conformed to quality assurance requirements, the metal detection system is installed into a vertical feed pipe to inspect spices for potential metal contaminants. The spices are scanned for metal contaminants as they free-fall through a large 200mm diameter, high sensitivity metal detection aperture. Accuweigh’s Fortress metal detection system was custom configured for the client’s specific application and installed in a vertical orientation prior to an auger jar filling machine. On detection of a possible metal contaminant, the metal detection system immediately stops the auger filler to allow operators to remove the potentially contaminated product. 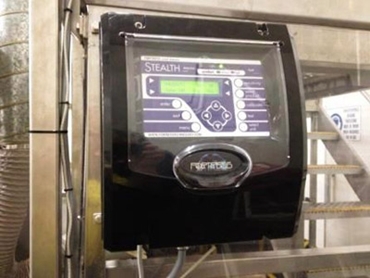 For added security and to allow comprehensive data logging of all events, the client selected the optional Fortress Stealth version metal detection system, which fully complies with HACCP reporting requirements. Utilising the latest digital signal processing technology to detect and reject ferrous and non-ferrous metals, including stainless steel using their high processing power, the Fortress food metal detection systems are renowned for their superior speed, accuracy and ease-of-use. Accuweigh is the exclusive Australian distributor for the Fortress range of metal detection systems manufactured by Dynamic Inspection in New Zealand.